Yerha.com a Delhi based E-Commerce platform has announced on Thursday to launch world’s smallest ‘NanoPhone C‘ phone in India, which according to the company claim would be the world’s smallest GSM phone. NanoPhone C has been manufactured by a Russian company called Elari. The NanoPhone C has been price in India at Rs. 3,940, the phone measures 94.4mm by 35.85mm, is 7.6mm thick and weighs only 30 grams. It will be available in Black, Rose Gold, and Silver colour variants. It features a 1-inch 128×96 pixels TFT display. It runs RTOS powered by a MediaTek MT6261D chipset, coupled with 32MB of RAM. It comes with 32MB of storage that’s expandable via microSD card (up to 32GB). The dual-SIM (Micro-SIM) NanoPhone C is packs a 280mAh battery that is claimed to last up to 4 hours of talk time, and up to 4 days of standby time. It features a MP3 player, FM radio, voice recording, and phone recording functions. Apart from GSM connectivity for phone calls, it comes with a 3.5mm headphone jack, and a Micro-USB port. 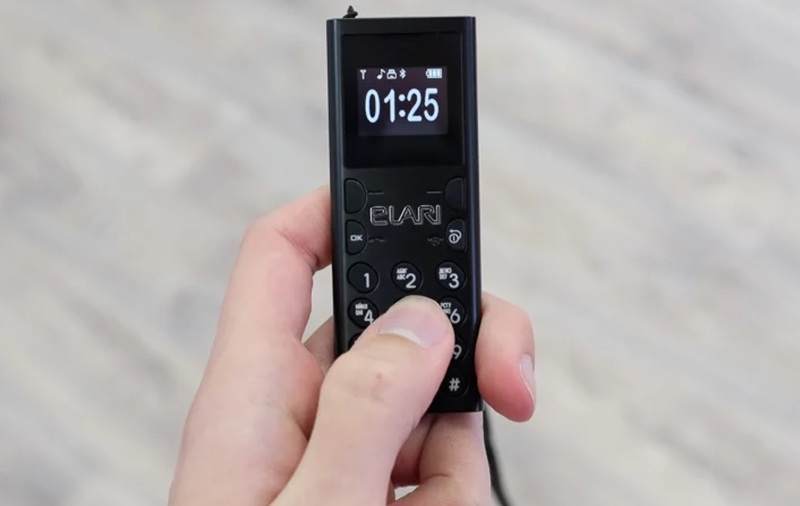 The NanoPhone C also features Bluetooth connectivity which users can use to connect it with their Android and iOS devices, which also lets it accept and make calls from connected smartphones. The company is also touting a Magic Voice function, which users can use to make a prank call to their friends.